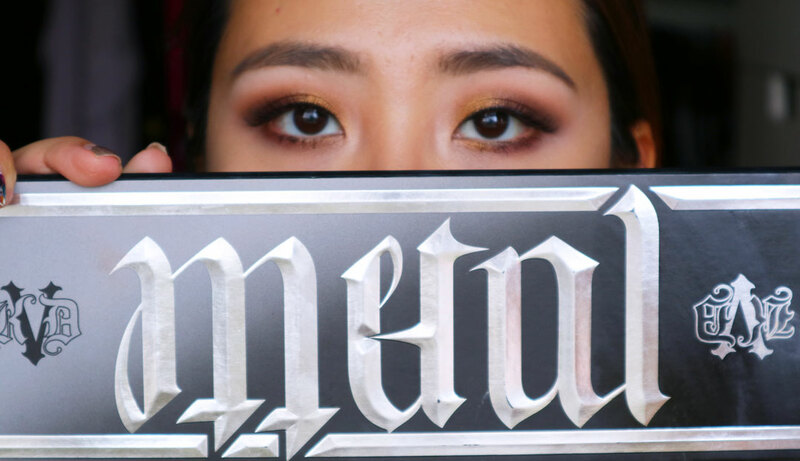 Recently I hopped onto Sephora's website and saw that the Kat Von D MetalMatte Palette was on 15% discount so I grabbed it. 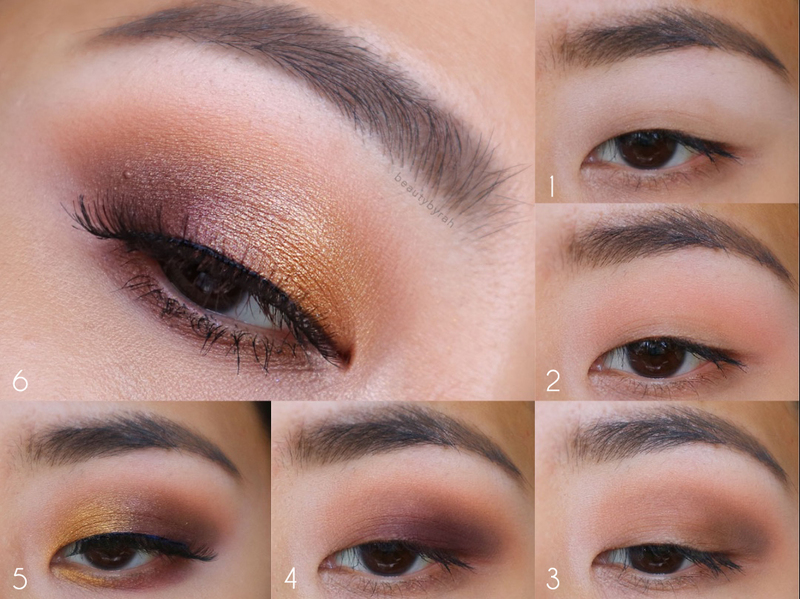 Everything turned out to be about SGD 69 which is pretty worth it considering the number of eyeshadows that are in this massive palette. This is the largest and longest palette that I own and I gotta say, it is pretty heavy and definitely not travel friendly. Regardless, it has so many options and yes, despite the myriad of colour combinations that I could have done, I still chose to do my purple and gold. We are creatures of habit, what can I say. I did use that green once and boy, was it lovely too. 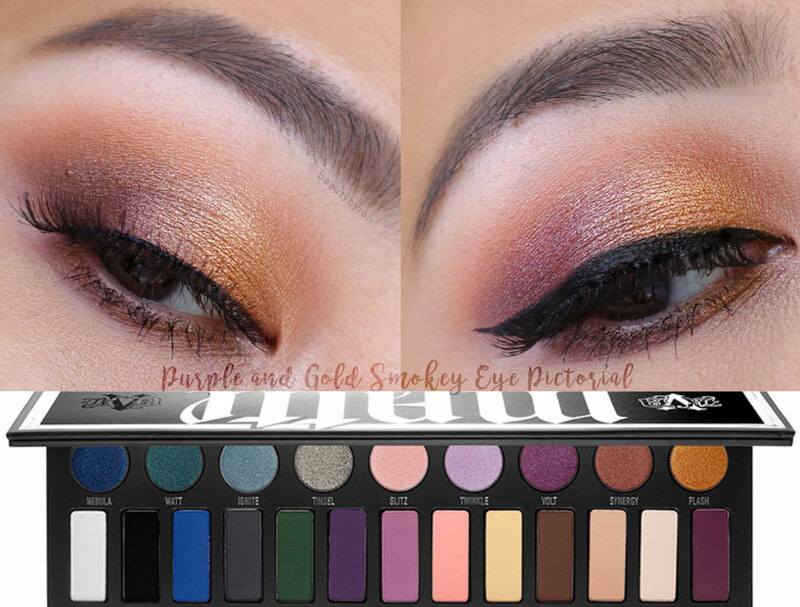 Using this palette, I created this purple and gold warm toned smokey cat eye, which is perfect for any Christmas party in my opinion. Let's just dive straight into it. 1. Starting out with primed lids as per usual. Today I used my Urban Decay Primer Potion in Original. 2. Using a flat paddle brush, I dipped into Linen to highlight the brow bone and set the lid primer. 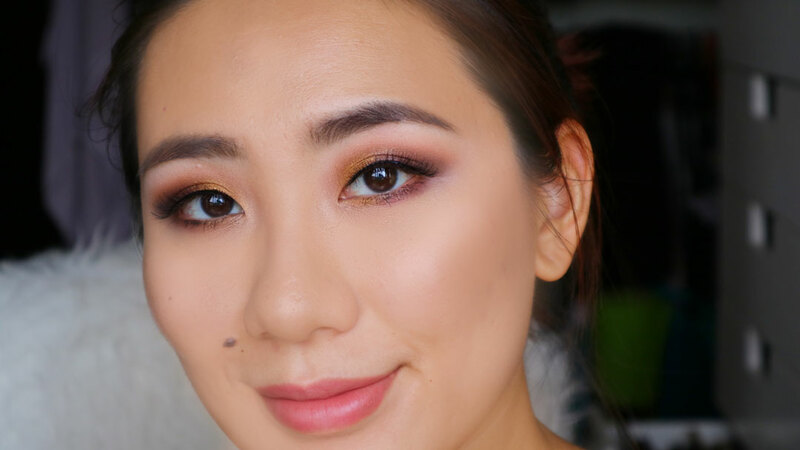 I only applied the shade onto the brow bone and crease. 3.Using a fluffy blending brush, I used the shade Fringe and applied it into the crease as my transition shade. This is how it should look like so far. 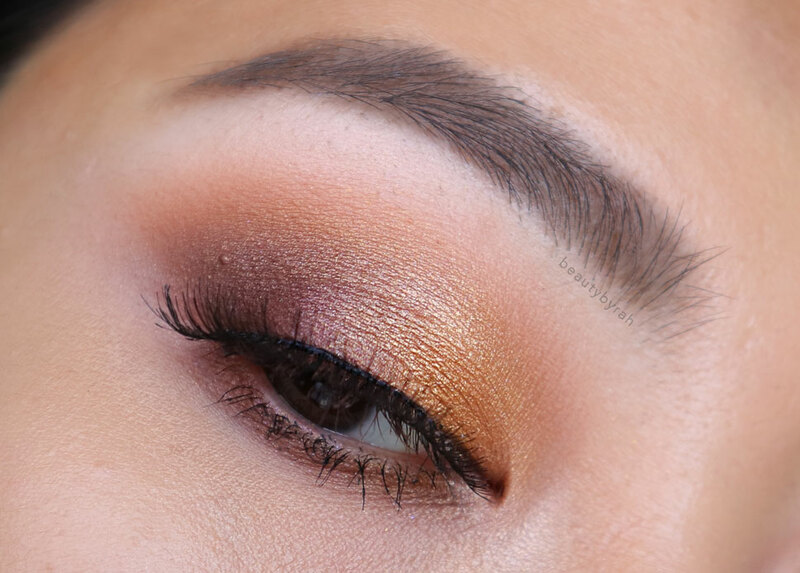 I rarely ever use pinkish hues into the crease but Fringe is turning out to be a really nice crease colour for warm toned looks! 4. Taking my slightly smaller fluffy brush, I dipped into Oak and applied that into my outer V, focusing on blending the shade lower than Fringe. This is how is looks like so far. This can just be an everyday look too, if you stop here! But for Christmas, we ain't gonna. 5. Using my pencil brush, I took the shade Ribbon and applied it into the outer V, focusing it nearer the lash line and lower than Oak. The pencil brush is only for placement of the shade. 6. Using the same fluffy brush that we used with Oak previously, I blended Ribbon out. Ribbon was a little tough to work with and was a little patchy on the lids. 7. Taking a dense, flat shader brush, I dipped into Flash and applied it onto the inner 2/3 of the mobile lids. Goodness, this shade is absolutely lovely and the pigmentation blew me away. This is how the complete top lids should look like after final blending. A little tip is to dip your clean fluffy blending brush into some translucent powder and blend all over. This helps to remove any harsh lines that you could be struggling with. This is how it looks like with a lil Volt in the mix. 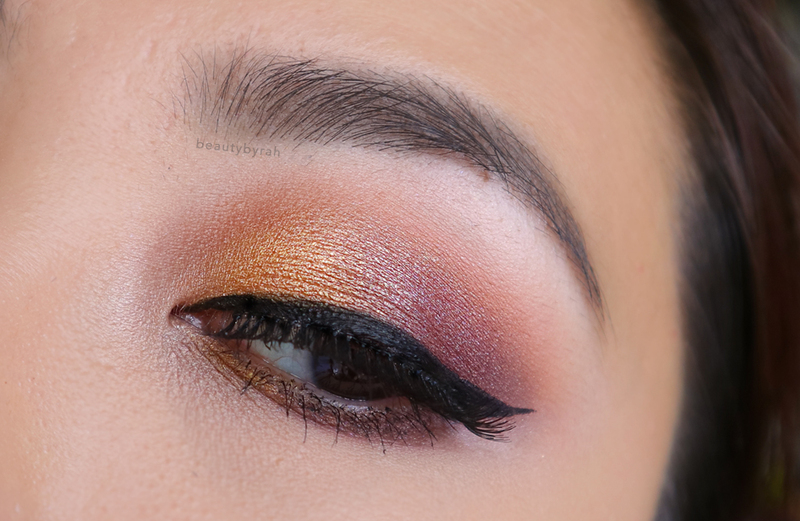 Not too dramatic or anything, but it made me feel better about my blending and I am liking the added purple-ness to the entire look. And, this is rare, but I thought I would skip liner today. What? Yes. However, since the eye makeup is pretty dramatic, some form of definition is require and thus, I decided to add some false lashes. 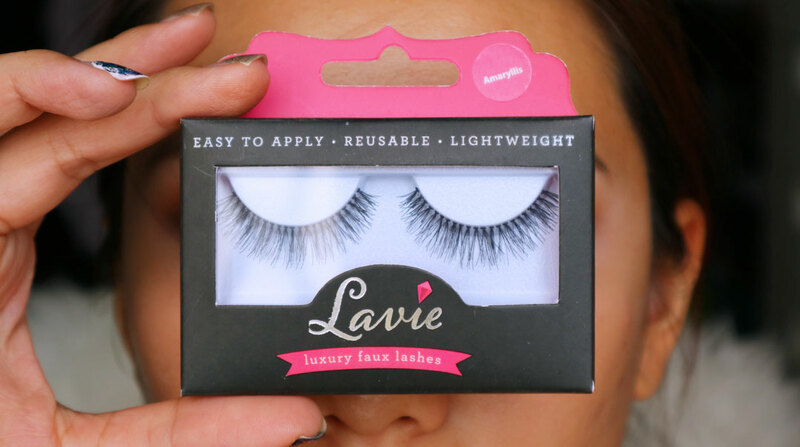 This is the style Amaryllis from Lavie Lash (one of my favourite brands!). 9. This is the final step, I promise. Taking the pencil brush, I added a little Oak and Ribbon mix onto the outer 1/3 of the lower lash line and Flash into the inner 2/3s. And I am all done! Feeling a little bare without my winged liner but the lashes definitely did help to add in the required definition to the eyes. 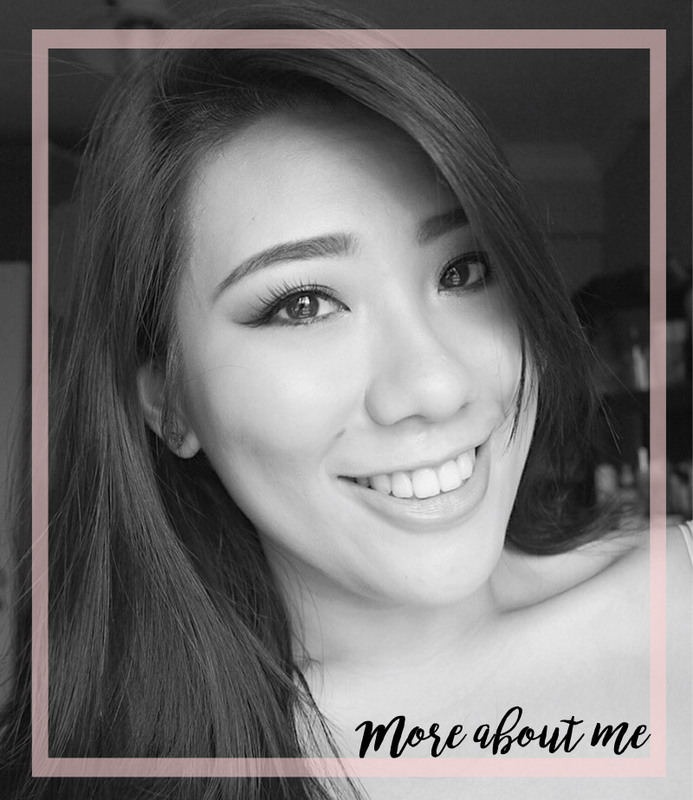 These lashes are really comfortable and easy to apply. Here is a condensed collage for easier reference! Then, I got a little bored so I decided to add a winged liner to one eye to see the difference it makes. As you can see, nothing adds more drama and definition than a winged liner, if you ask me! Merry Christmas everyone! I am still a little baffled on how fast time flew by this year. Regardless, next year is going to be awesome.